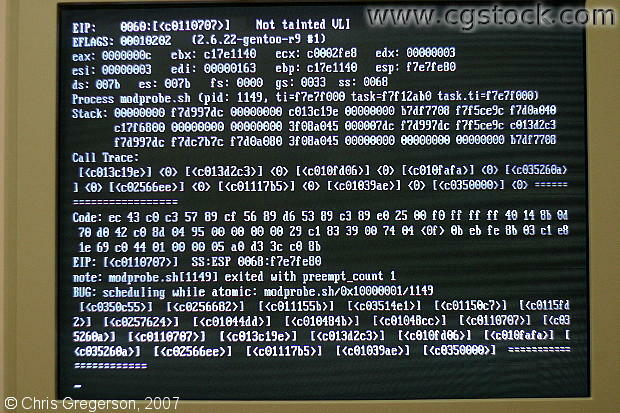 This was happening on a linux 2.6 series kernel (with Gentoo) after udev starts and calls /sbin/udevtrigger (coldplug). The error message this time says "BUG: scheduling while atomic: modprobe.sh". Various other errors occurred with each boot.